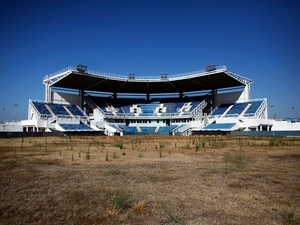 Countries hosting the Olympics quickly find the burden of venues that soon become sports ghost towns. 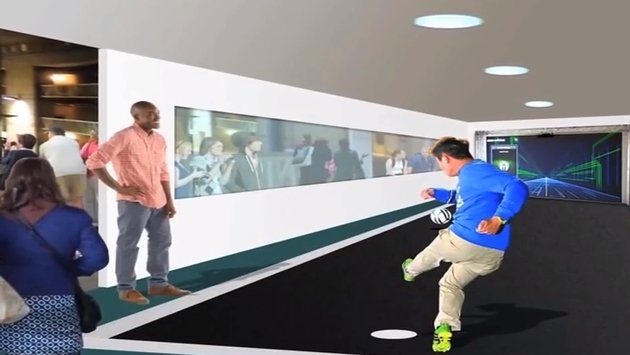 There is hope, however, because Barcelona solved the issue with an upcoming sports-themed amusement park. CNN’s Barry Neild reports a new theme park will eventually open at the site of the 1992 Summer Olympics, giving travelers an opportunity to play out their sports fantasies for around €20-30. The report also includes a date of July 2015, so those not content to merely sit around on their vacation can prepare for next summer now. Although, you may want to pack a personal trainer as well. Of course, this is all to alleviate what has become a nagging issue with host cities. Rather than see venues once heralded by millions who watched the Olympics from home turn into underutilized buildings, organizers are hoping to breathe new life into the once iconic structures. You only need to traipse around the Internet for a few moments to see the horrible fate that befalls many of these venues that once housed world champions. That’s the Olympic softball stadium used in Athens. It only looks forgotten for decades, because it was used for the 2004 Summer Games. If Barcelona officials are successful, they will do more than sate the masses eager to fulfill Olympic glory in virtual form. They will have succeeded where so many have failed before them, utilizing infrastructure that is so easily cast aside when the world leaves. Reportedly, $26 million from private funding will be employed to bring sports to theme park enthusiasts, which is a drop in the proverbial bucket when you consider an estimated 240 jobs will be created by the project. What’s more, buildings and areas that would do little more than grow weeds and gather dust now get to once again host smiles, laughter and competition. Imagine other countries doing the same, solving the problem of massive structures that are now forgotten and ignored. The entire park sounds exhausting and ambitious, but it also sounds like a great deal of fun. You may want to lace up and begin your training for all the excitement now.